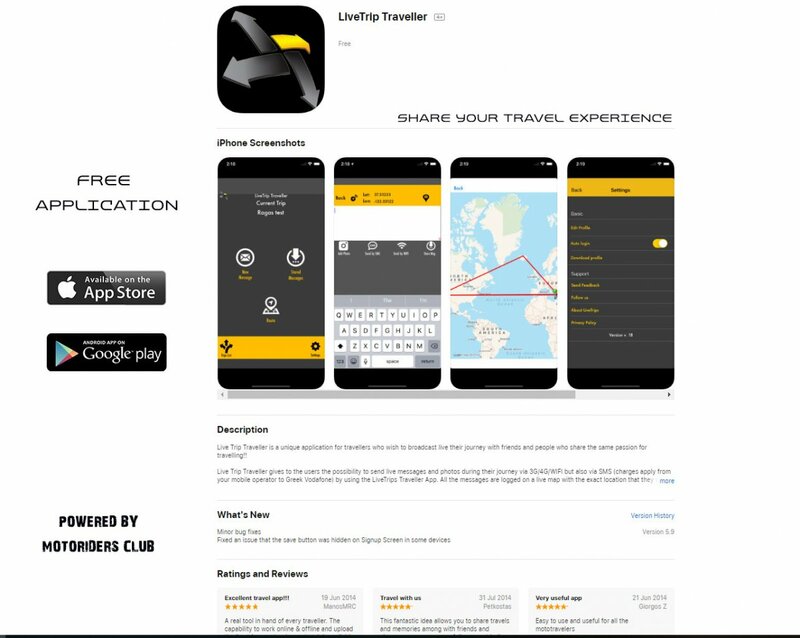 LIVE TRIP TRAVELLER is a new unique application for travellers who wish to broadcast live their journey with friends and people who share the same passion for travelling! Live Trip Traveller gives to the user the possibility to send live trip reports and photos during their journey via WiFi/3G/4G but also via SMS (charges apply from your mobile operator to greek Vodafone). All the reports (messages) are logged on a live map with the exact location that they were send, so friends and others can follow up the whole journey.